JNTUH All the B.Pharmacy, MBA, MCA Examinations Scheduled on 5th, 10th, 11th December 2018 are Postponed & Rescheduled. For more details, please download the official notification below. Sub: JNTUH – Exam Branch – Rescheduling of B.Pharmacy course, University Examinations scheduled on 05-12-2018 & 10-12-2018 for the B.Pharm II-1 (R17, R16, R15, R13, R09 ), III–I (R16, R15, R13, R09 ) IV-I Sem (R15, R13, R09) Regular & Supplementary exams– Intimation -Reg. Due to the forthcoming TS general elections and the communication received ( ref, cited above), there shall be no University Examinations from 05-12-2018 to 11-12-2018. The examinations which are to be held on 5-12-2018 and 10-12-2018 are rescheduled and the revised schedule is as mentioned below. Sub: JNTUH – Exam Branch –Rescheduling of MCA course, University Examinations scheduled on 05-12-2018, 10-12-2018 and 11-12-2018 for the MCA III-Sem (R17, R15, R13, R09) & I- Sem (R17, R15, R13, R09) Regular & Supplementary and MCA IV-Sem (R15, R13, R09) & II- Sem (R17, R15, R13, R09) Supplementary exams – Intimation -Reg. 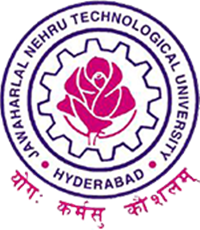 Sub: JNTUH – Exam Branch – Rescheduling of MBA course, University Examinations scheduled on 05-12-2018, 10-12-2018 and 11-12-2018 for the MBA III-Sem (R17, R15, R13) & I- Sem R17, R15, R13) Regular & Supplementary and MBA IV-Sem (R15,R13) & II- Sem (R17, R15, R13) Supplementary exams – Intimation -Reg. Sir tomorrow M3 xam undha ha??? Scheduled But Whats About the Eaxm Which Is On 8th pleAse Give me The CorreCt Date For this Exam.